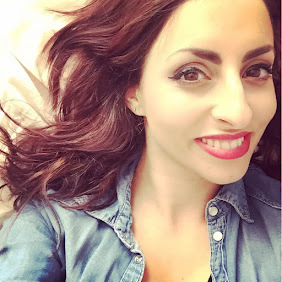 Last night I attended my first event!!! I was super nervous and had been since 5.30! It was my fiances special presentation day so i had attended that for the day. We whizzed over to Cabot Circus in time for me to attend! Phew! But...uh oh what a mess I looked! Hair all over the place, i was so hot and felt like...crap! And here I was surrounded by glamourous ladies! Oh dear! 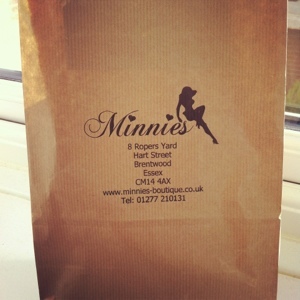 Anyway....I entered the Minnies pop up boutique with anticipation, the unknown! It was bright and I scanned the rails in delight! Oooh I wanted so much! The boutique is owned from the lovely Sam and Billie Faiers from TOWIE, filled with pieces they exclusively choose. 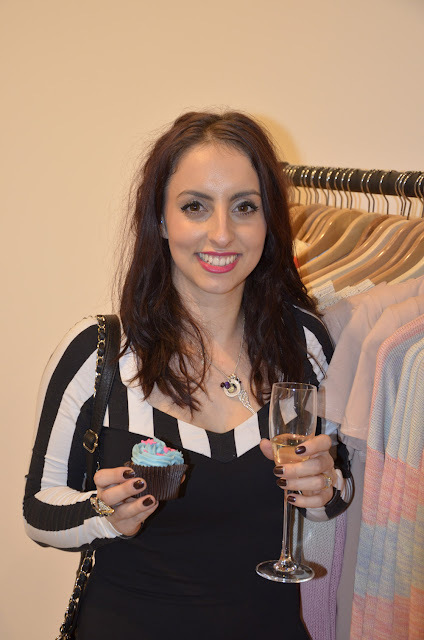 They were really sweet and chatted to all the bloggers and guests that attended. We had photos and they even signed a bag for my lovely friend Cat who is a huge fan! The girls are really lovely and wore items that were in store. 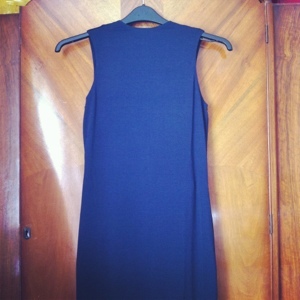 I bought a blue dress that Tara from The Style Rawr recommended for me! I love the brown carrier bags they give! A sucker for packaging! 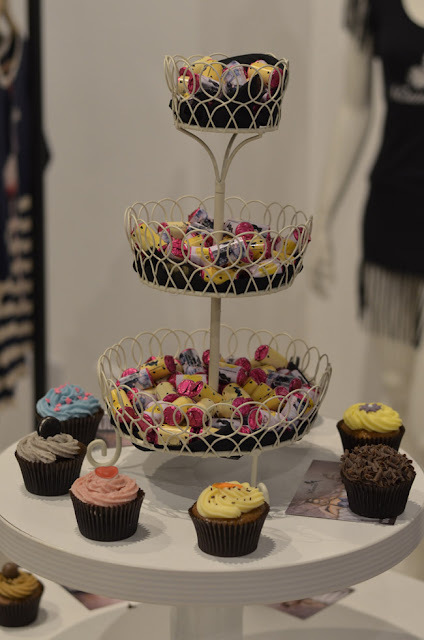 There were cupcakes and a glass of fizz for each attendee. 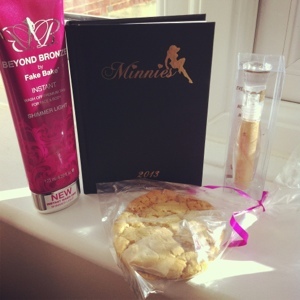 As I left I was given a goody filled with treats, a Minnie Diary, a Fake Bake tube of tan, a lipgloss and cookie! 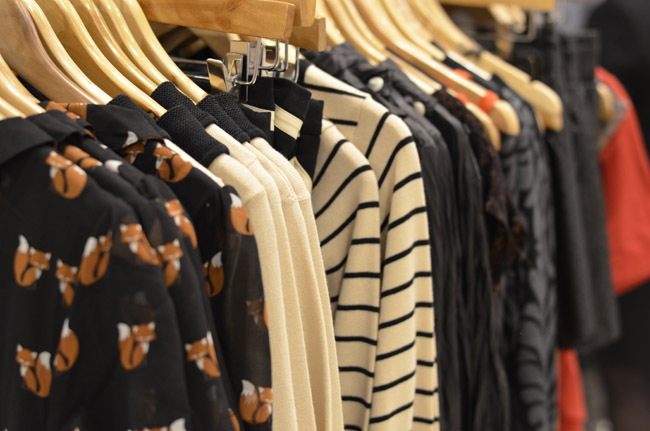 The boutique is really cute with brands such as Voodoo Girl Couture and MinkPink. It is open today and tomorrow so head on down!!! If you can't then they have the boutique in Brentwood, Essex. Did you attend or have you? Gotta love a bit of towie! That looks like a lovely event :) and you look gorgeous pretty lady!! Aaah I've got major cake and cookie cravings now!